ALBUQUERQUE, N.M. --- The sixth annual New Mexico Bowl will kick off the collegiate bowl season for the third straight year but is making a change in its line-up. The game is slated for a noon MT/2 p.m. ET kickoff at University Stadium in Albuquerque, N.M. on Saturday, Dec. 17. For the sixth straight year, the game is scheduled to include a team from the Mountain West Conference, and for the first time, a Pac-12 team is scheduled to be the opponent. In November of 2010, the New Mexico Bowl and the Pac-10 announced an agreement for the soon-to-be Pac-12 to participate in the New Mexico Bowl beginning in 2012. That agreement has been amended for the partnership to begin in the 2011- 2012 bowl season. 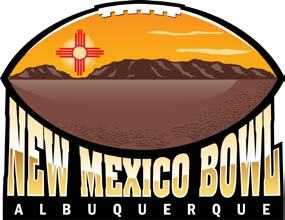 The New Mexico Bowl will once again air nationally on ESPN and ESPN-HD. Tickets are available now at the University of New Mexico ticket office. Tickets prices range from $25-$40 and are available by calling 505-925-5626 or the New Mexico Bowl office at 505-925-5999. In the first four New Mexico Bowls, the Mountain West and Western Athletic Conferences squared off, with the MWC winning three of four. In the fifth annual game, the New Mexico Bowl welcomed UTEP, a Conference USA member, which fell to departing MWC-member BYU.